Merry Christmas to all! 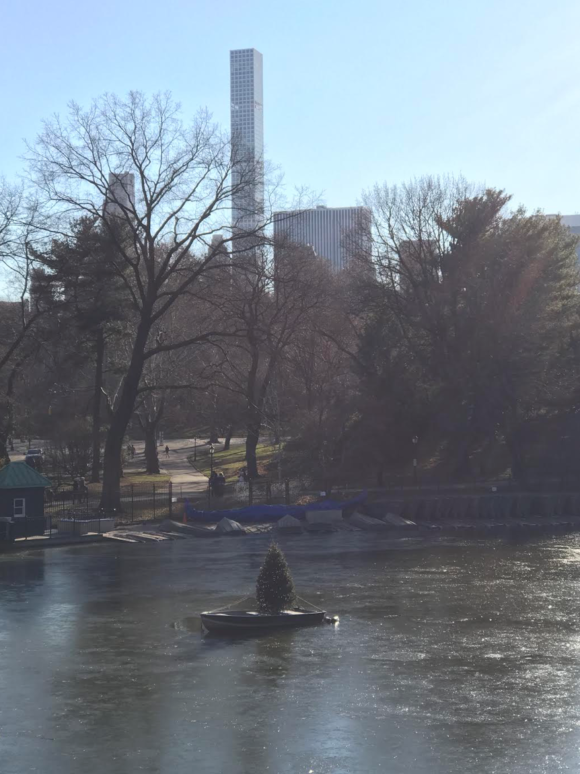 Here’s a repost from last Christmas, but in the tradition of Christmas all the trees mentioned are back again this year! 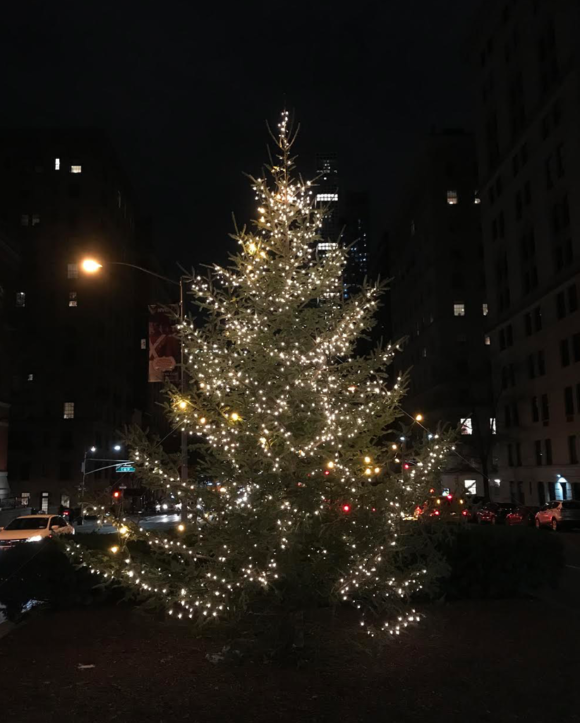 For those of us who celebrate Christmas nothing is more representative of the spirit of the season than the traditional Christmas tree. 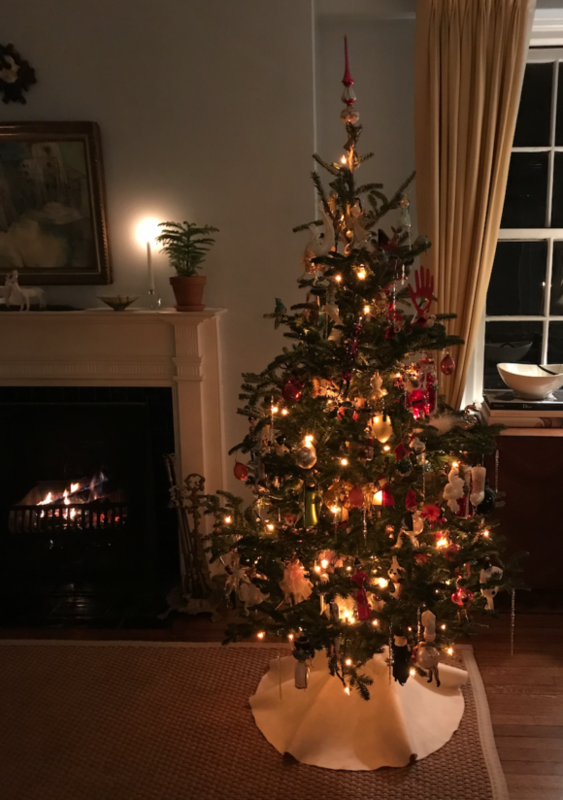 Why else would we drag a pine tree into our home, endure the hassle and expense of it and then dedicate precious storage space to the tree accoutrements for the other 49 weeks of the year? Because it’s tradition, and a beautiful tradition at that. I consider myself something of a Christmas tree aficionado. 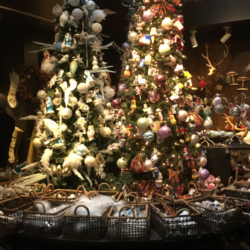 I will only go with a live tree, a straight top is key and there must be ample room for ornaments to dangle between the branches. 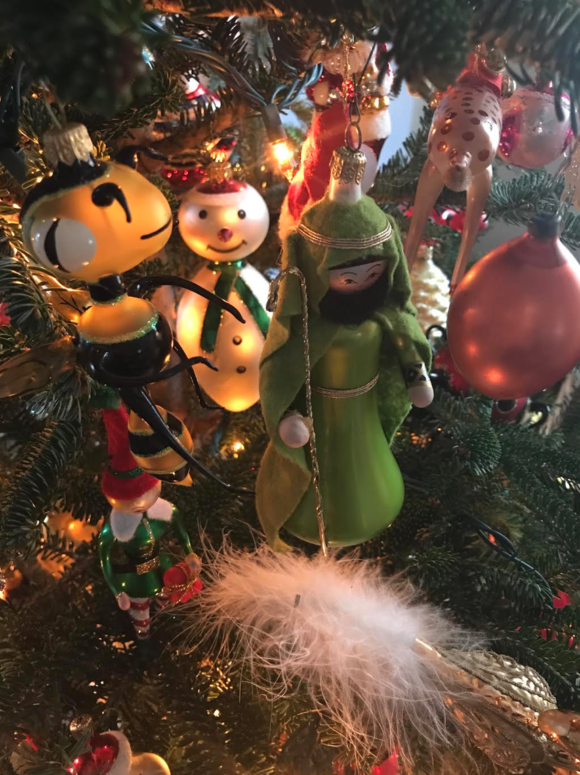 I’ve been collecting Christmas tree ornaments like a maniac since my twenties, but that affliction could be a whole post on it’s own. 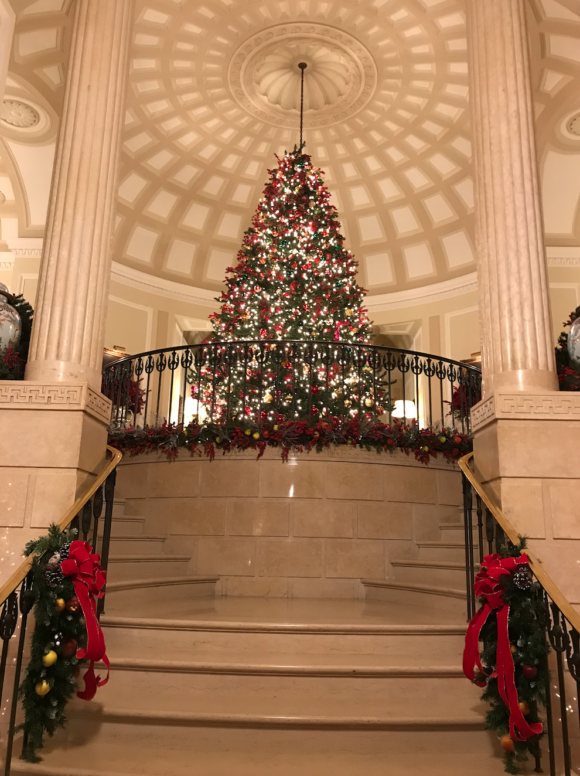 My appreciation of the Christmas tree is not limited to my own. 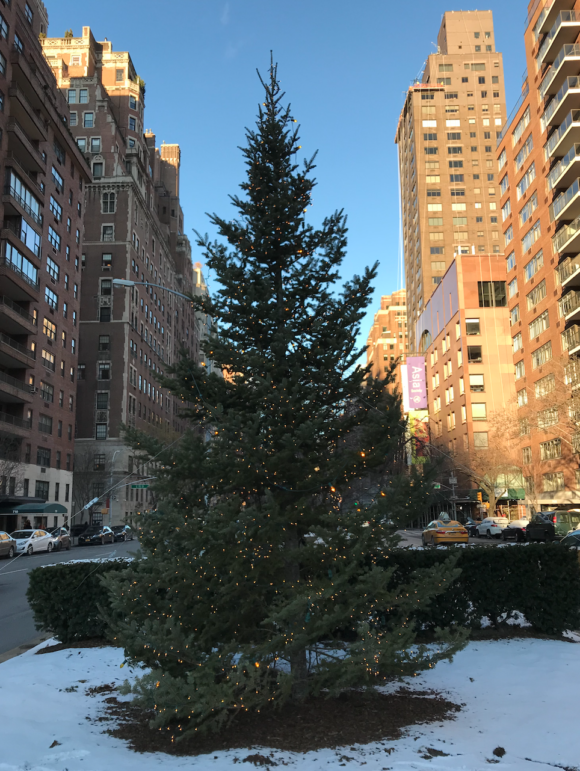 New York City, particularly Manhattan where I live, has a wealth of spectacular trees. 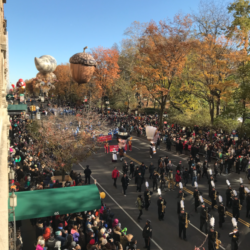 Many of which have been a tradition for as long as anyone can remember. 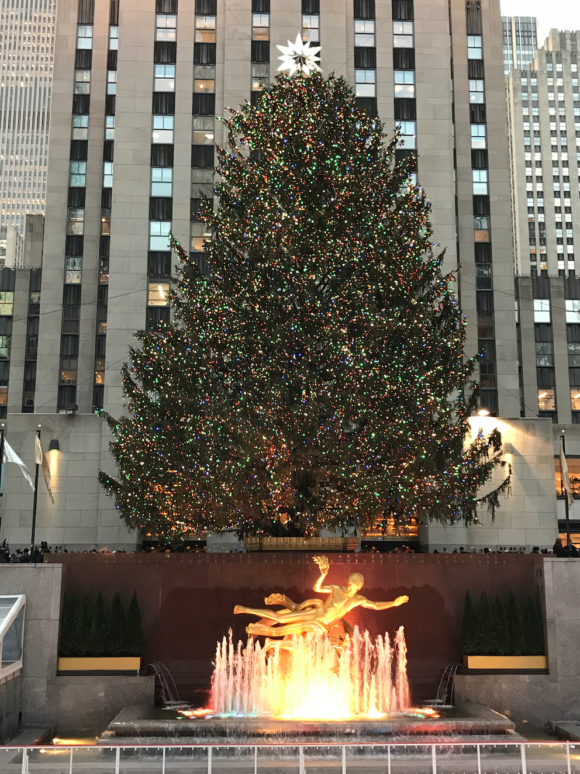 Here are some of my favorite famous and not so famous Christmas trees of New York. If you miss them this year don’t worry, they’ll be back same time, same place next year. 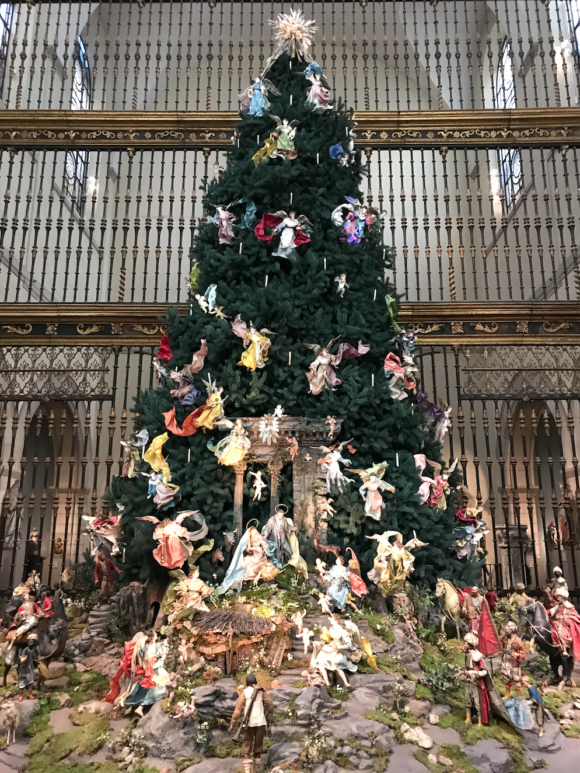 A New York favorite, the tree at the Metropolitan Museum of Art, decorated with 18 century Neapolitan nativity scene figures. 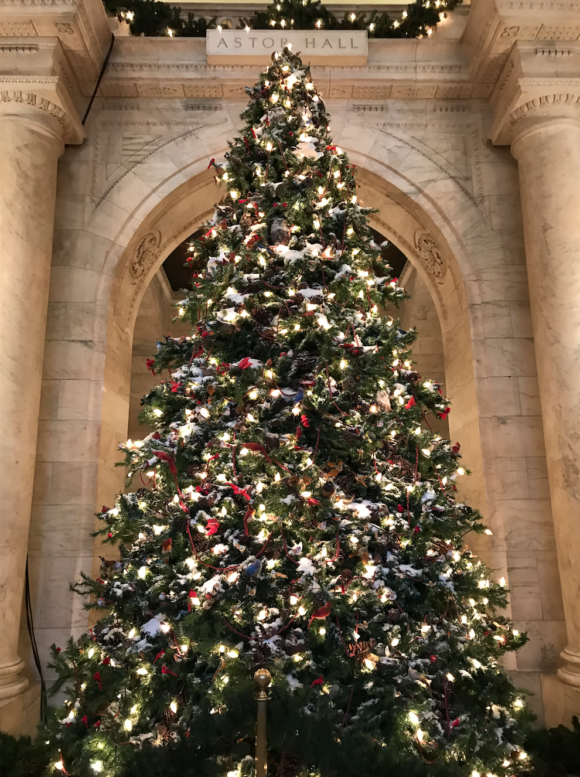 Top photo the Christmas tree at The Union Club, the oldest private club in New York. 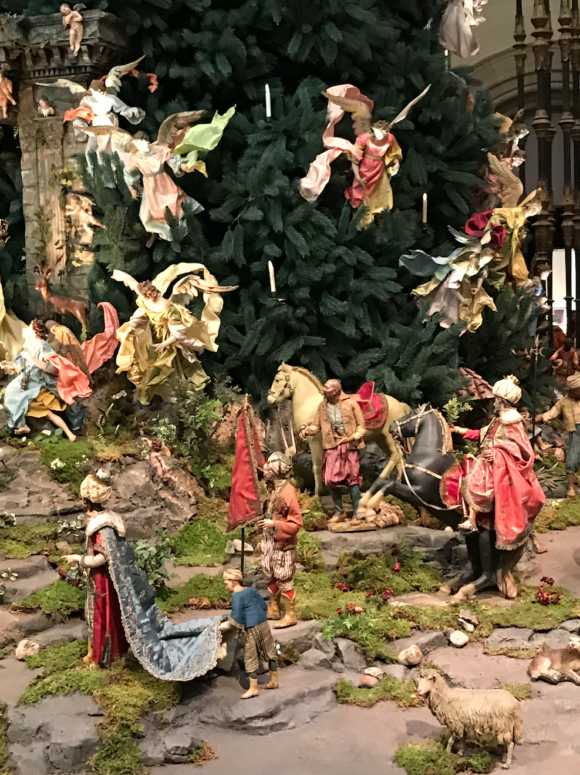 Detail of the Met tree. 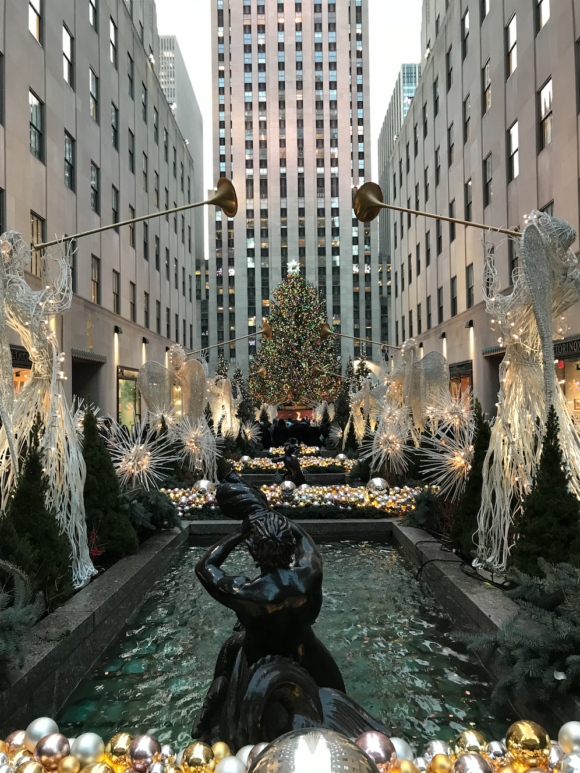 The mother of all New York Christmas trees, Rockefeller Center, be prepared for crowds of people. 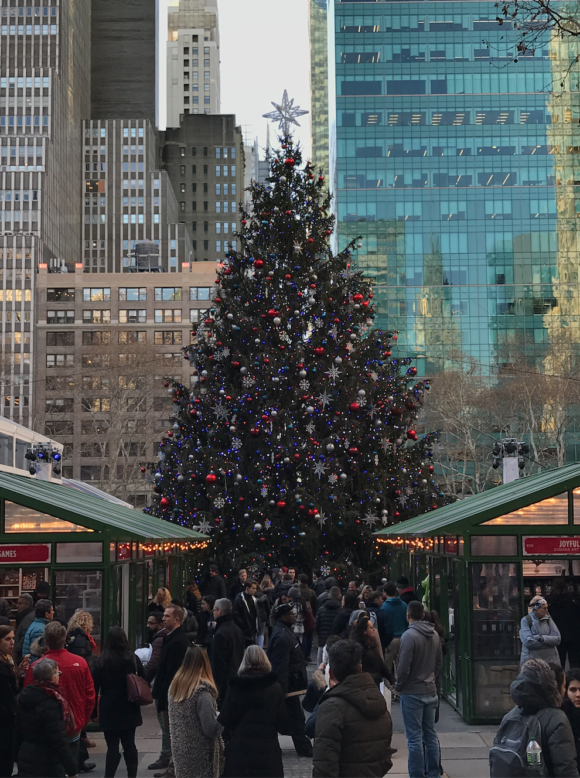 Bryant Park has a skating rink, extensive Christmas village and a magnificent tree. 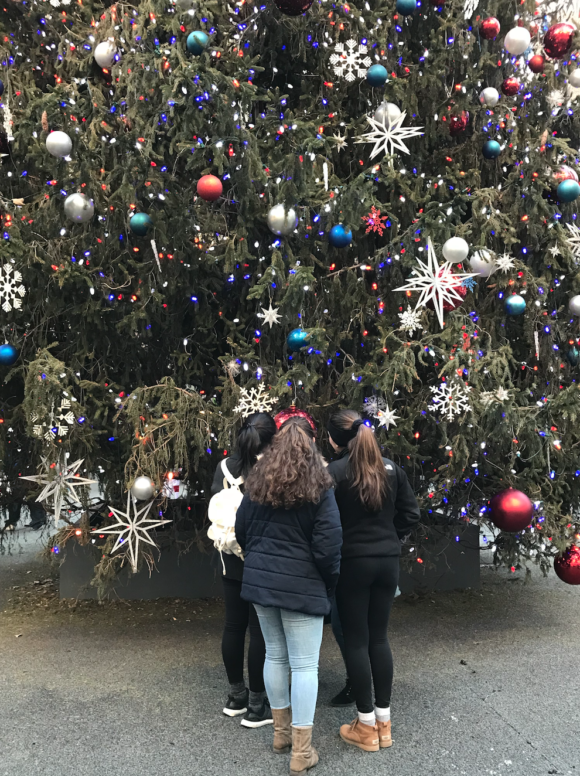 You can get up close and personal to the Bryant Park tree. 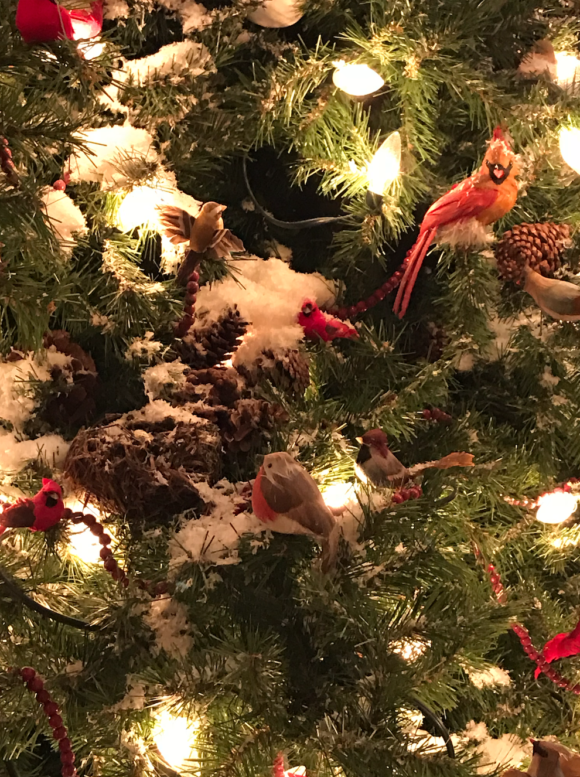 The Library tree is decorated with birds, pine cones and snow. My tree packed with ornaments, the more whimsical the better.